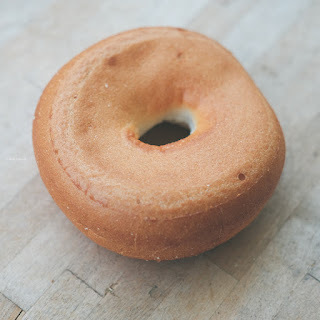 Just because you are gluten free doesn't mean you have to miss out on the great American staple, the bagel. Sure you can make your own but honestly not too many have the time or patience to make them from scratch. I found a gluten free bagel from Trader Joe's that checks off all things I look for in a bagel. 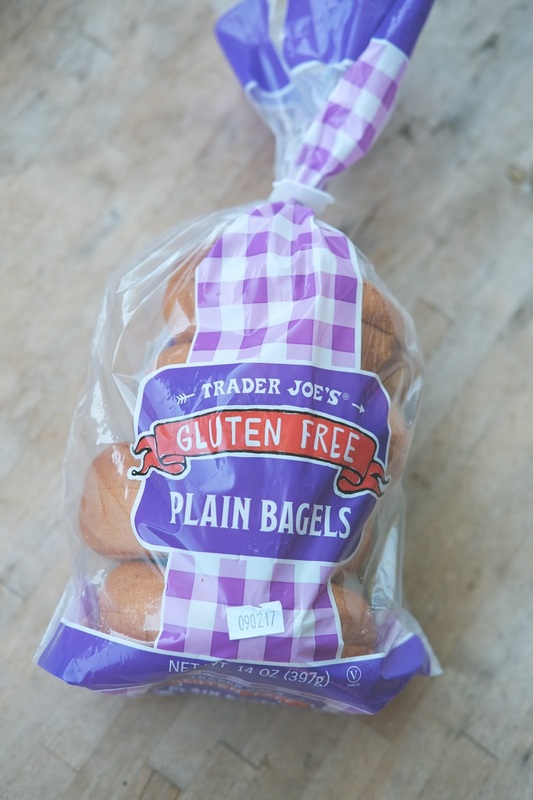 The gluten free Trader Joe's bagels come in a package of 4 and are pre-sliced. They can be found in the fresh bakery goods section of the store. I don't believe they were ever frozen, you might want to ask if you can refreeze them. Otherwise I only buy what I know I will use within the week. I store my bagels on the counter at room temperature. These gluten free bagels are not lacking in size. They are big and fluffy just as other bagels. Unlike some gluten free breads these are delicious and you don't need to toast them before eating. 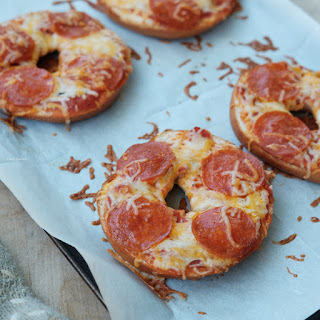 I just love the taste and texture of these bagels. 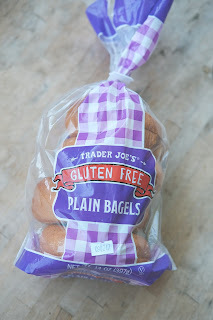 What I love about these Trader Joe's gluten free bagels are you can eat them in a variety of ways. Besides the traditional way with cream cheese I like to make both cold and hot sandwiches. Just recently I made pizza bagels and they were a huge hit with my picky 14 year old son. 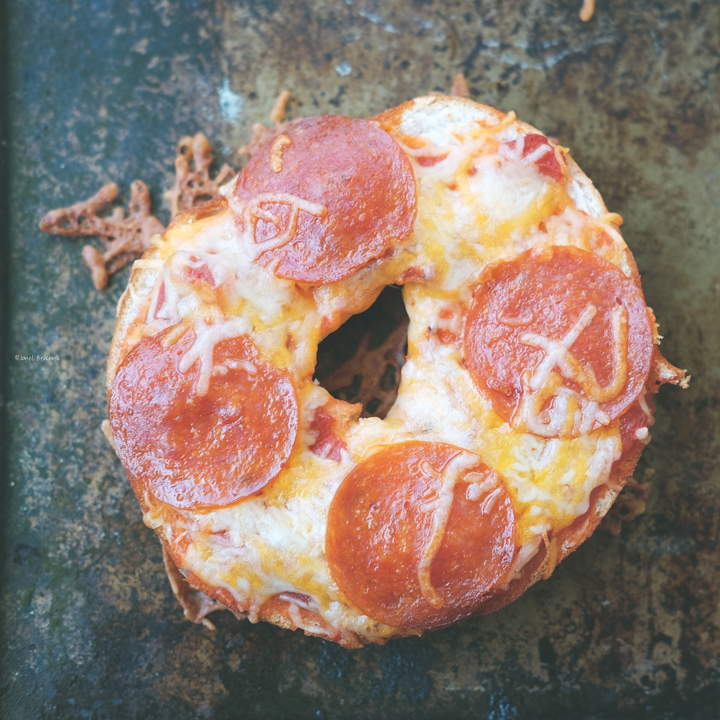 I highly recommend these gluten free bagels and look forward to other ways to create meals with them. Use your favorite toppings (top lightly so it cooks faster). 400 degrees in oven for 10 minutes.